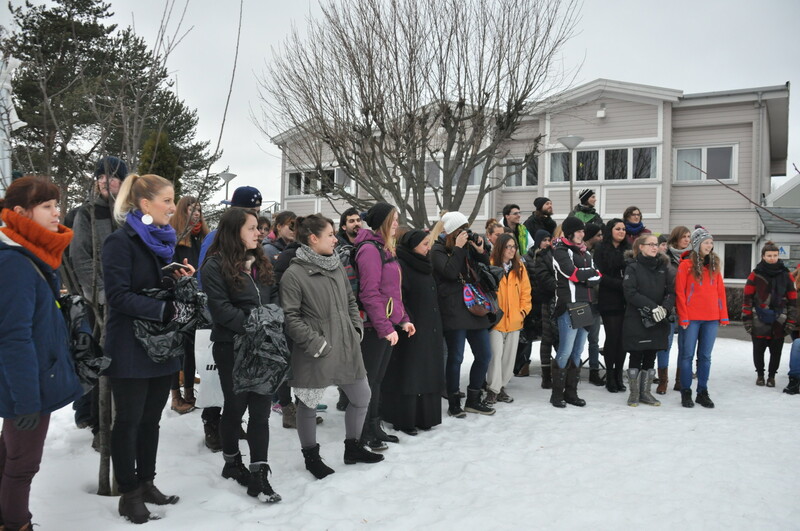 Over the coming year us EVS'ers will be working very closely together with Ingrid, the National Secretary of CISV Norge (On the right hand side of the photo above). 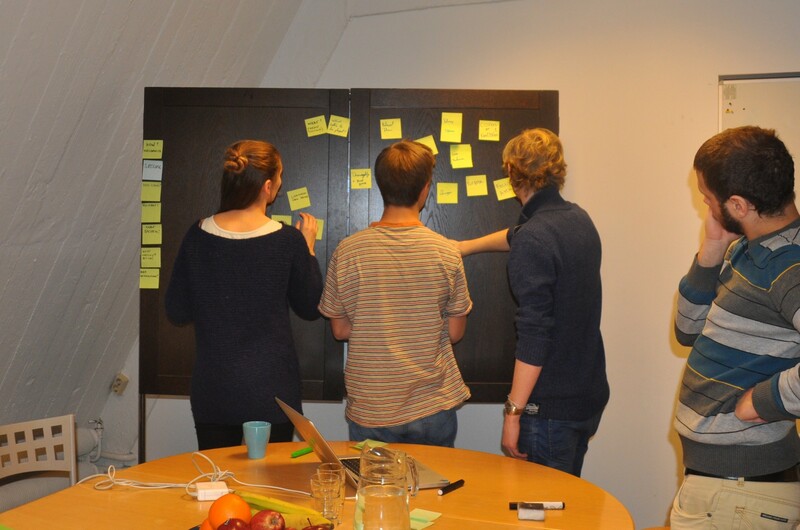 Together, we three make up the team who occupy the CISV office here in Oslo. 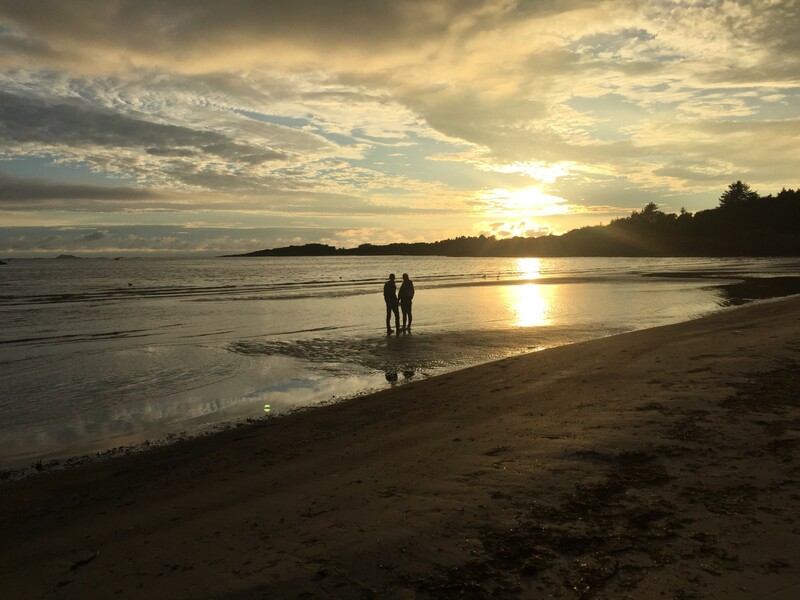 And this year Ingrid very thoughtfully decided to organise a few days away so that we'd have the chance to get to know each other better and hopefully begin to form an awesome team together. 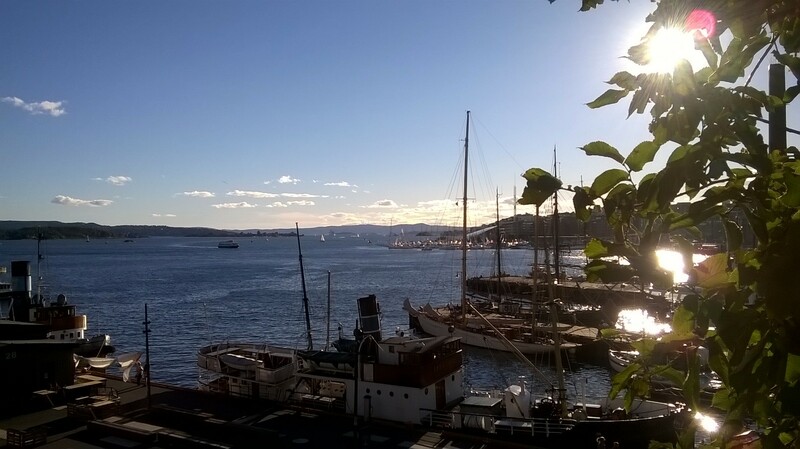 The location for our first Norwegian adventure was the city of Stavanger on the west coast which, as we learnt over the next few days, has a lovely mix public street art, old-fashioned wooden houses, a close proximity to areas of natural beauty, as well as its fair share of enormous cruise ships! 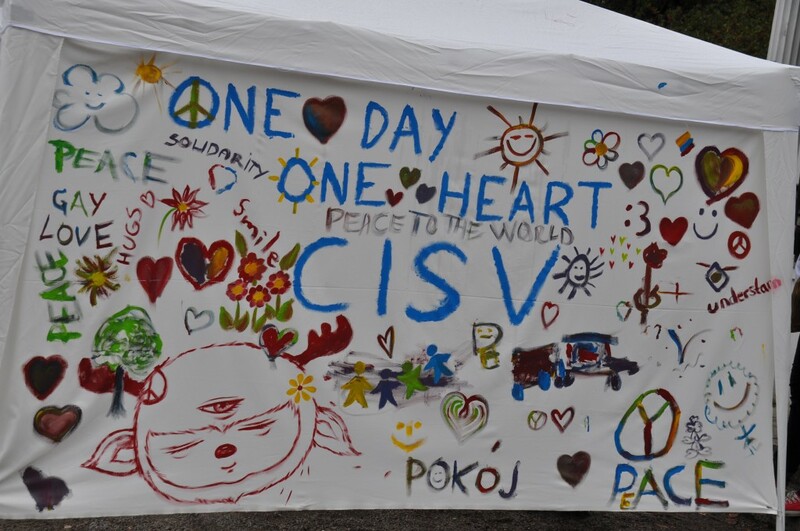 We weren't completely free from work responsibilities however as we were partly there to learn about CISV branding. This will be crucial to our work over the year as we will be responsible for creating content for some of the many communication platforms that CISV uses (newsletters, blog posts, website updates etc). There are a couple of really simple and informative booklets which explain all the basics for visual and written forms of communications which you should definitely check out if you're interested - you can find them here and here. 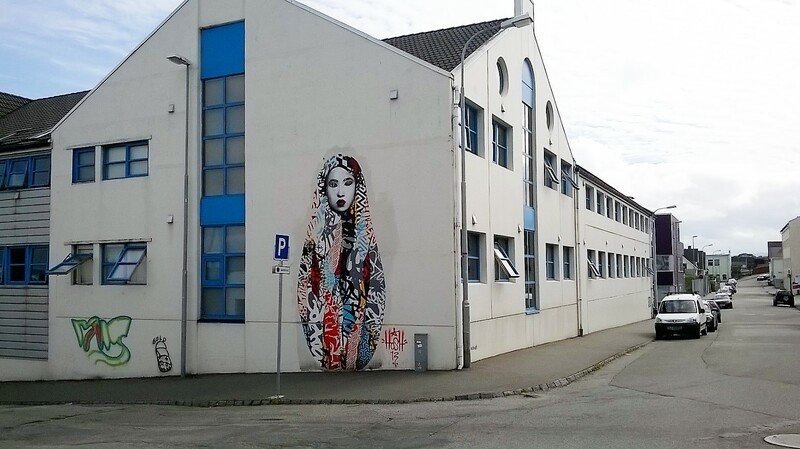 Whilst walking around Stavanger we noticed loads of examples of Street Art on various buildings and we found out the city hosts an exciting-looking festival each year where new works are created. The 2016 NuArt Festival is taking place 11-16th September so if you're interested do go for a visit. 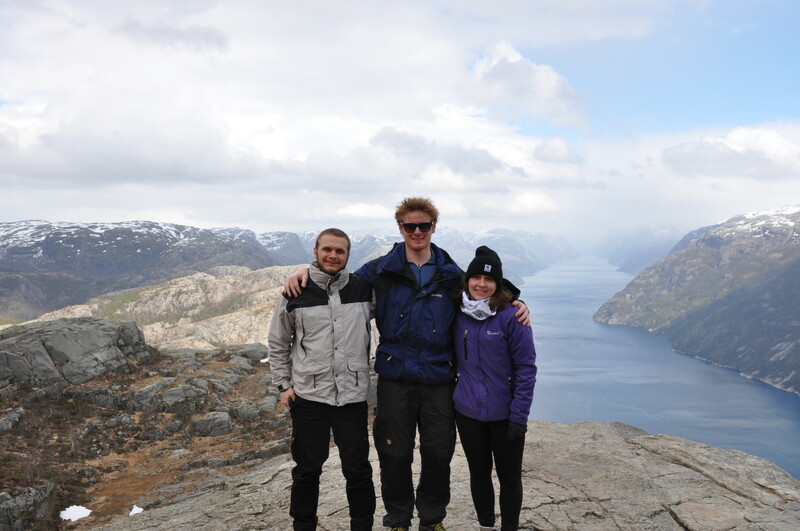 The following day we embarked on our main mission - a hike to Preikestolen. 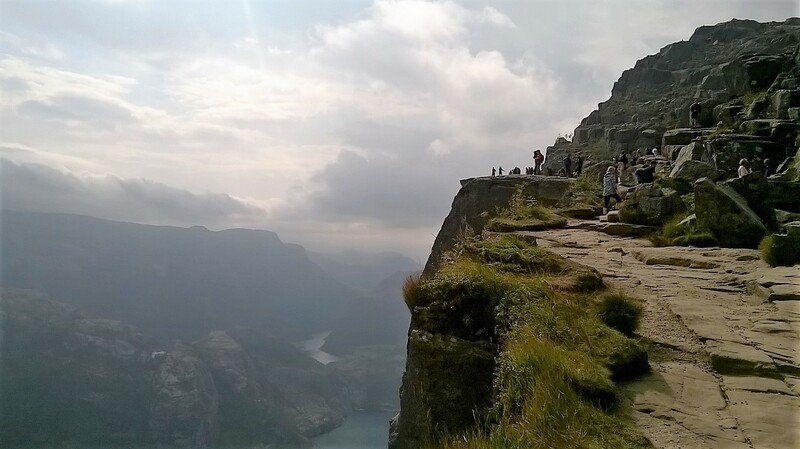 Otherwise known as Pulpit Rock this geological feature has been chosen by Lonely Planet as one of the most spectacular viewing points in the world but we would add that the hike on the way to the top is pretty awesome too! 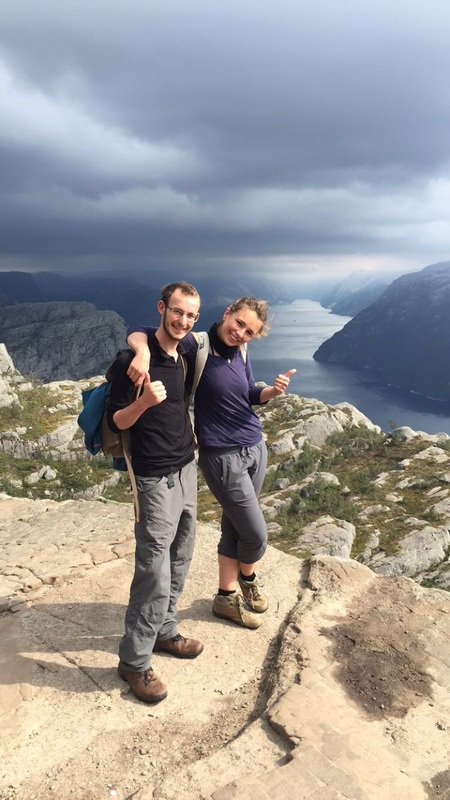 As you can see from the photos below we were fortunate to have good weather (by Norwegian standards) and the hike provides plenty of opportunities to stop and admire the fjord below. It felt great to be out in the amazingly beautiful scenery that Norway has to offer and reminded us all that we need to make the most of it during out time here. 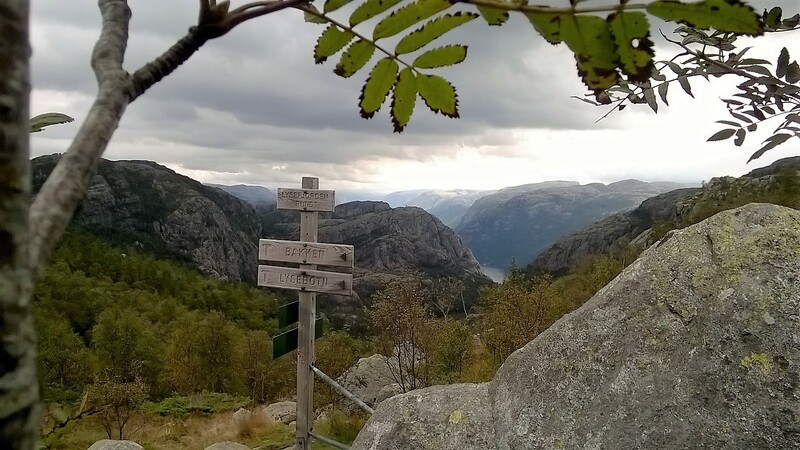 Hiking in Norway is really well catered for and has a dedicated organisation known locally as the DNT which maintains hundreds of walking and skiing routes throughout the country. 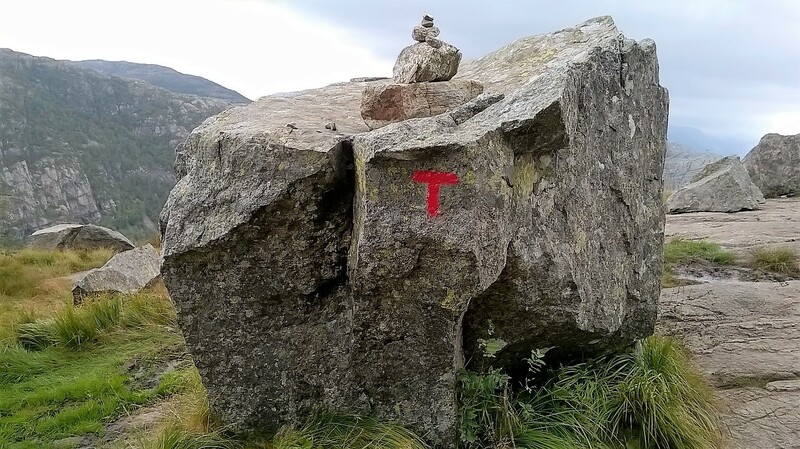 This made the hike to Pulpit Rock really straightforward since there were red T's marked throughout the journey. Thanks DNT! 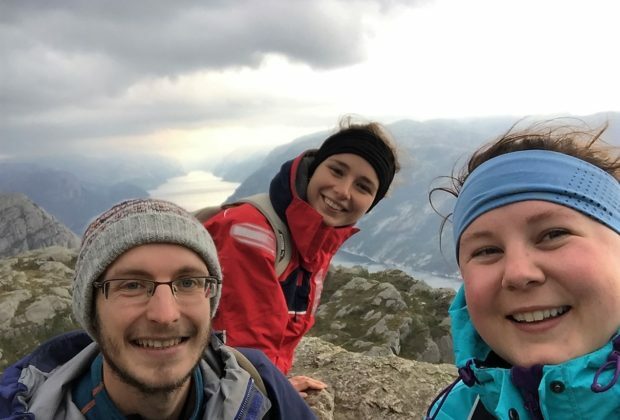 As well as a chance to experience such a popular national sport as hiking we were also educated in other important features of Norwegian life, namely Matpakke and Kvikk Lunsj. Literally translating as "packed food" matpakke will undoubtedly prove very useful during our EVS year as it is a cheap and convenient option for lunch consisting of open-topped sandwiches, some fruit and perhaps a hot drink in a thermos. Kvikk Lunsj is a vital addition to your matpakke (especially when hiking) and seems to be a version of the more famous KitKat bar, although it should be noted that any mention of the Nestle alternative is usually met with patriotic support for the Norwegian product! 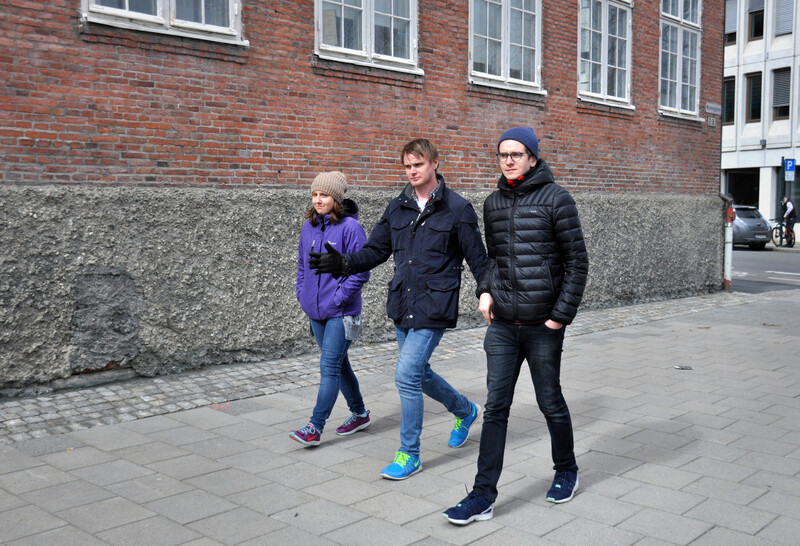 After a slightly slippery descent (the rain clouds decided they wanted to join in the fun) we headed back to Stavanger via the ferry and then travelled a short way out of the city centre to our host's (Camila and Kristian) lovely Scandi-style home. Once there, us EVS'ers decided we hadn't got wet enough on the hike down and so went swimming in the nearby fjord! It was a great way to finish up the day and the view wasn't half bad either!